Members and officers of the Florida Delta Chapter at the University of Central Florida are participating in the RSO Engineering Clubs Showcase. 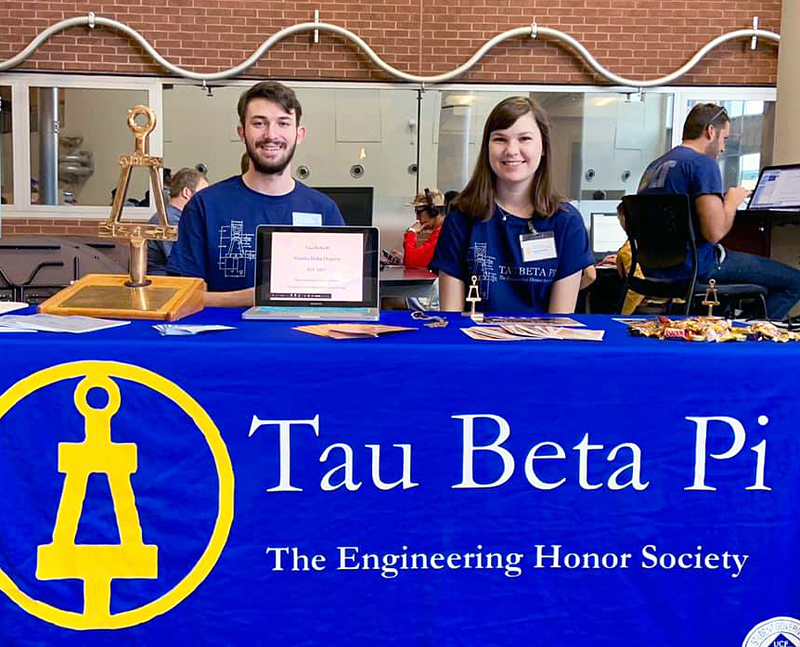 They’ll be there from 10am-2pm providing information about Tau Beta Pi at UCF. The chapter does a great job in the community, including hosting K-12 MindSET sessions at Riverdale Elementary. See the image above from the event posted to the chapter’s Facebook page. John D. Hooper, P.E., S.E. (WA G ’81), has been selected as Engineer of the Year by the American Council of Engineering Companies of Washington. He is the director of earthquake engineering at Magnusson Klemencic Associates (MKA). According to the announcement, Hooper has worked on more than 100 projects at MKA. Hooper has been awarded six national and regional individual awards, including the Structural Engineering Institute’s Walter P. Moore Jr. Award (2016) and the Professional Engineer of the Year award from the Washington Society of Professional Engineers in 2008. His bachelor’s degree is in civil engineering from Seattle University and he is a 1983-84 TBP Fellow. Tufts University has announced that Nadine Aubry, Ph.D., will be the next provost and senior vice president, effective July 1, 2019. Currently, Dr. Aubry serves as Dean of Northeastern University’s College of Engineering. Click here to read the news article. Dr. Aubry is a distinguished professor with notable contributions to fluid dynamics, particularly the reduced modeling of turbulence and other complex flows, and microfluidics. Her Ph.D. was earned from Cornell University in mechanical and aerospace engineering.